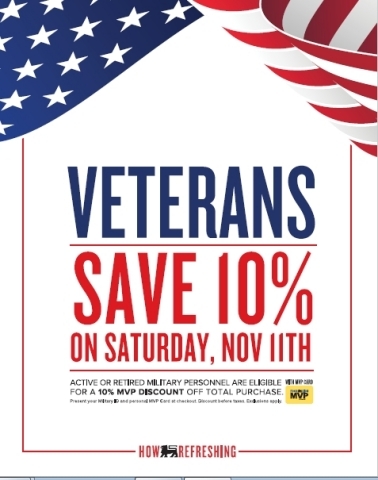 "At Food Lion, we consider our military and veteran customers our neighbors, friends and in many cases, our family"
SALISBURY, N.C.--(BUSINESS WIRE)--In honor of Veterans Day, Saturday, Nov. 11, Food Lion stores will offer a 10 percent discount to active and retired military personnel to show their support and appreciation for those who are serving or have served in the United States Armed Forces. 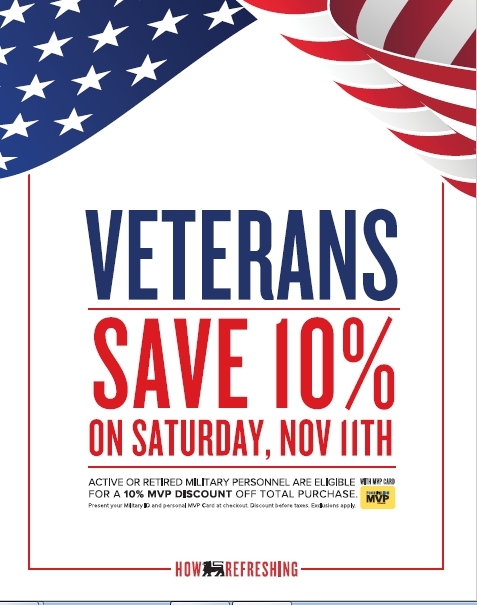 To receive the discount, active military, veterans and their families should present their MVP card, along with military identification, if available, at the time of checkout. Customers will then receive 10 percent off their entire grocery bill. 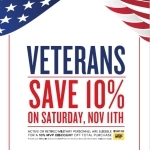 This offer is valid on Saturday, Nov. 11, only. The discount does not apply to the purchase of alcohol, tobacco, gift cards, lottery, postage stamps or services. Also in support of Veterans Day, Food Lion will make a $650,000 donation to Hope For The Warriors, a national nonprofit dedicated to restoring a sense of self, family and hope for post 9/11 veterans, service members and military families. Additionally, in advance of the national holiday, on Nov. 9, local Food Lion associates will partner with the organization to participate in a service project in order to pack and donate 200 backpacks of food to Jacksonville, N.C.-based military families to help feed those in need this holiday season.